My hair tends to go dull very quickly and needs a lot of attention and care to keep it looking healthy and shiny. Of course, I make regular salon appointments to see my stylist, but sometimes this isn’t enough. I need to take care of my hair using products specifically designed for my hair on a daily basis. 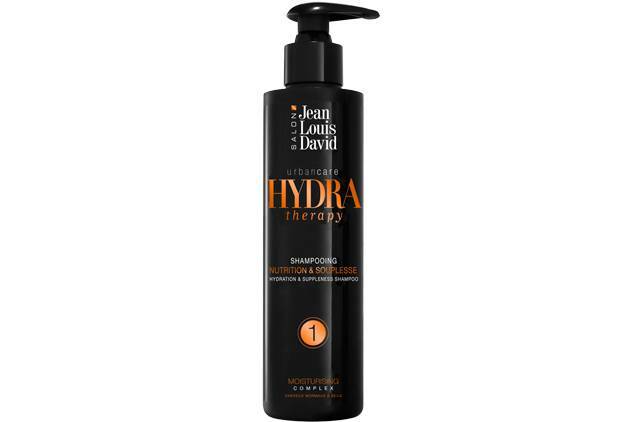 I use Hydration & Suppleness shampoo in combination with the Shine & Soft leave-in treatment from the same range, which keeps my hair nourished and healthy. When alternated with a shampoo dedicated to my hair type, this super hydrating shampoo gives my hair an instant lift and pick-me-up. The formula is gentle and cleanses my hair, leaving it feeling fresh. To seal the hair cuticle, I rinse my hair with cold water for added shine and glossiness.